For the Candlelight Service, Bro. 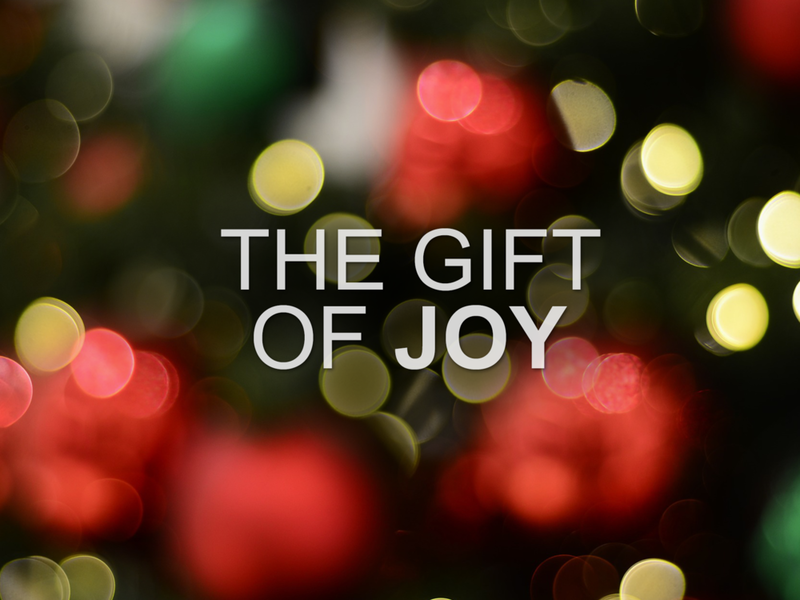 David continued has sermon series on The Gifts of Christmas by celebrating the Gift of Joy given to us because of Jesus Christ. Christmas is widely regarded as the most joyous time of the year; Believers are able to rejoice because we have a certain and glorious future and we are able to rejoice in our sufferings. How is that possible? Because the joy that Jesus gives is an inner peace that surpasses all understanding. It is a calm assurance God is God and He is in control. It is not dependent of circumstances, because the source is God. The world cannot take your joy because the world did not give it to you- Jesus did. The precious gift of abiding joy is something we desperately need. Can you imaging a world or life without joy, smiling, or laughter? God wants you to be joyful because He wants you to be confident He is in control. It is our job to maintain the joy you have been given by trusting in Jesus, although it may be difficult sometimes, for joy sometimes comes through pain. Fullness of joy is not necessarily the absence of suffering. People who have endured hardships are capable of being the most joyous and hope-filled individuals. After all, true hope is not an escape from reality, it is a trust in your future because God is in control of everything. So how can you be a joyful Christian? Joyful Christians enjoy life because they see following Jesus as a great and wonderful journey, with highs and lows. And do not simply follow aimlessly and without purpose; instead have joy by moving forward by faith. Never settle spiritually, instead rediscover the adventure that is following Jesus and enjoy the fullness of joy that He brings.